The first GR8 MATES program will be concluding in a couple of weeks. One of our mentors gave a brief presentation on public speaking to the students, as each will be sharing something about their mentoring experience in the final Celebration of Learning event. 6 Hot Tips – Public Speaking can be found in the Peer Mentor section of the website (http://www.yess.co.nz/) . After the presentation, mentors had a few minutes to chat about what they and their mentees would say when our video crew came around to interview them. The video crew are made up of Year 11 students (penultimate year of school). I met with them an hour earlier and told them of my plans to have a three minute video clip for the GR8 MATES website. During the mentoring session they visited the mentoring pairs and each participant shared something in 30 – 45 seconds. Next week the mentees will be completing their on-line Student Performer and the video team will film some of that as well as the Celebration of Learning. I am hoping that they will end up making two or three video clips we could use on a variety of occasions :-). Anyway, I was chatting to a mentor and a mentee prior to the video clip being shot. We were talking about the Celebration of Learning and Simon, the mentee (not his real name), was saying that he intended to ‘wing it’ ie, make up his speech on the day. His mentor and I smiled. When it came to filming Simon, he froze! Highly amusing and I hope he has learnt something from that experience. Most mentors commented that the public speaking presentation had been well-timed, as it had helped their mentees prepare more thoroughly for the video shoot. At the end of the mentoring session one of the mentees came up to me to have a chat. 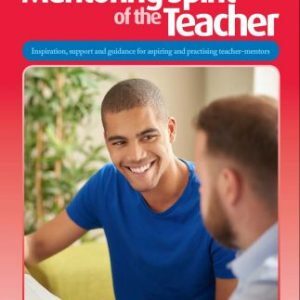 He had been working with his mentor on management of time skills and had come to the conclusion that he was wasting far too much time, not allocating enough time to academic studies and needed to do something about it – lots of learning continues! We have decided to allow mentors to invite their husbands and wives (where applicable) to the Celebration of Learning and it will be good if some are able to attend. One mentor has reminded me earlier today to invite someone from the local community newspaper – smart thinking and something I nearly overlooked. A reminder to develop a checklist for this Celebration of Learning for future reference. The two other programs are getting under way slowly. I have had to remind the mentors not to be phased if their mentees are not responding to the email yet. 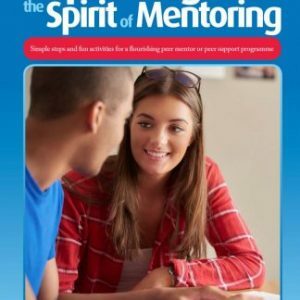 Still early days and the connection between mentor and mentee is not there yet in the majority of cases. In the one program the school has decided to give one of the mentees, who kept being away from school, a final chance to participate in the program, a good decision which we hope will pay off in the long-term. I have also been preparing all the Parent, Mentor and Mentee Exit Surveys, whilst continuing to raise the profile of GR8 MATES by exploring different possibilities for future funding. Yesterday a 10th school approached us keen for GR8 MATES to be included there. This morning the 11th school approached me for inclusion. The need is certainly there! !